At 29, Ellie Finch Hulme was diagnosed with a condition often associated with much older people - Parkinson's disease. She decided it wasn't going to stop her living her life the way she wanted to. Ellie doesn't fit the stereotype of someone with Parkinson's disease, as one of her recent tweets makes clear. People are often shocked when they meet her for the first time, she says. "I volunteer in a local charity shop occasionally around the kids and around my work and if I'm trembling, if I have to wrap something up - because anything can set off your tremor - someone will say something like, 'Is it your first day here?' And I'll be like, 'No I've got Parkinson's.'" They expect someone with Parkinson's to be white-haired and stooping, but Ellie, who lives in Farnham in Surrey, has young onset (or early onset) Parkinson's disease, and was diagnosed before she was 30. A survey of more than 2,000 people for Parkinson's UK, to mark World Parkinson's day, found that 87% of people with the condition had faced discrimination or harassment. More than half (57%) said they had avoided or cancelled social situations because of concerns about how others would react to them. She first experienced symptoms when she was training for a half marathon in 2012. At first it was just a tremor in her left little finger, then her left leg started to go from under her as she ran. Her GP suspected the problem was something called "essential tremor", a movement disorder, but Ellie wasn't convinced. After seeing a neurologist in April 2013 she underwent a series of scans and tests and was finally diagnosed with the condition that August. By coincidence, in her work as a translator Ellie had been working on a text about one of the scans she herself was given. This led her to suspect she had Parkinson's before it was confirmed. "I had a feeling that that's what it would be. But a lot of my friends were like, 'No, don't get ahead of yourself, it won't be that, it can't be that.'" Ellie says it took a long time to accept that she had Parkinson's but one of the hardest experiences was having to break the news to friends and relatives. "I think it was more difficult for friends and family to accept than it really was for me," she says. 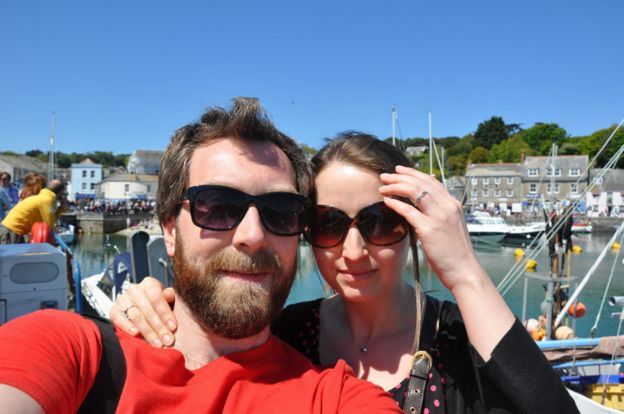 Ellie and her fiance, Tom, had already planned to marry the following March and soon after returning from their honeymoon, Ellie realised she was pregnant. "That was intentional," she says. "We knew we wanted to have kids and we wanted to do it sooner rather than later. In no way was I prepared to sacrifice that because of this condition." Not many people with Parkinson's disease become pregnant. Although a third of people with the condition get it before the age of 65, only one in 20 get it below the age of 45, and only one in 100 below the age of 40, according to Prof Huw Morris, consultant neurologist at the Royal Free Hospital and professor of clinical neuroscience at University College London. The symptoms - slower movements, stiffness and sometimes tremors - are caused by a loss of nerve cells in the brain, and a reduction in the amount of dopamine, the chemical in the brain that helps with movement. Treatment for Parkinson's therefore includes dopamine replacement. "We think that Levodopa, the main dopamine treatment, is probably safe in pregnancy, but it's difficult to know that," says Huw Morris. Ellie says she felt extremely anxious throughout the whole of her pregnancy, even though the dose of her medication was reduced. "It was scary. I was pretty concerned," she says. "I just didn't know how the drugs were going to affect the foetus at all." In January 2015, Ellie went into labour on the day of her baby shower and gave birth to a son called Charlie three weeks early. 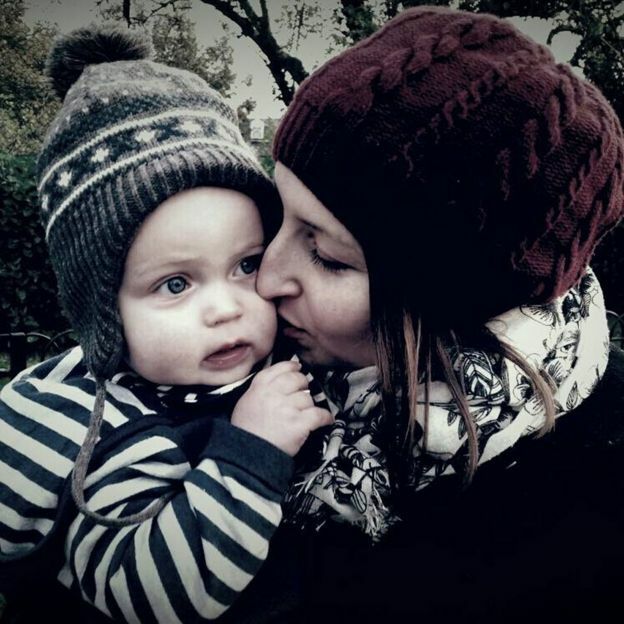 She took the decision not to breastfeed Charlie because of the risk that the drugs would be passed to him through her breast milk - she was told this was higher than the risk of them reaching the foetus had been. "I found that absolutely heartbreaking," she says. 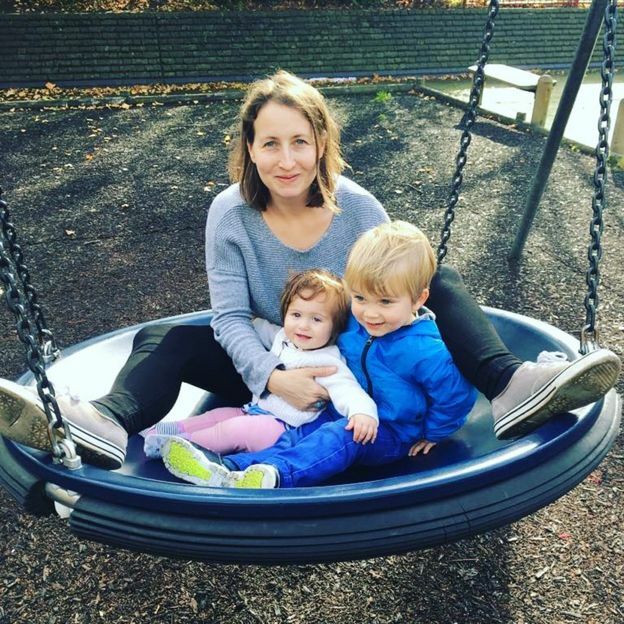 "I always thought that I would breastfeed and I was not able to and it took a long time to get over that." 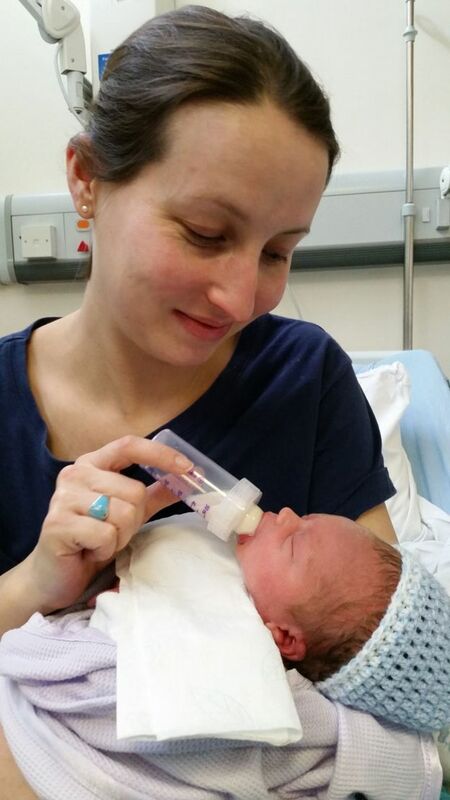 By this stage Ellie had a tremor in her left arm and hand, which made it harder to bottle feed her son. Holding him on her left side she would bottle feed him with her right hand, but it wasn't easy to keep her arm in a comfortable position - especially when she was doing it in public. "Bath time was a bit scary," she says. "But I used to do that when my husband was there." Ellie also struggled with some of the fiddlier baby clothes, such as doing up the poppers on Babygros or getting zips up. She buys shoes with Velcro fastenings to avoid problems with laces. Twenty-two months after Charlie was born, in November 2016, Ellie gave birth to her daughter, Sophie. "We were like, 'Let's just go for it, because I'm not going to get any better, so therefore it's probably better to just get through a second pregnancy sooner rather than later.' But obviously not too soon." 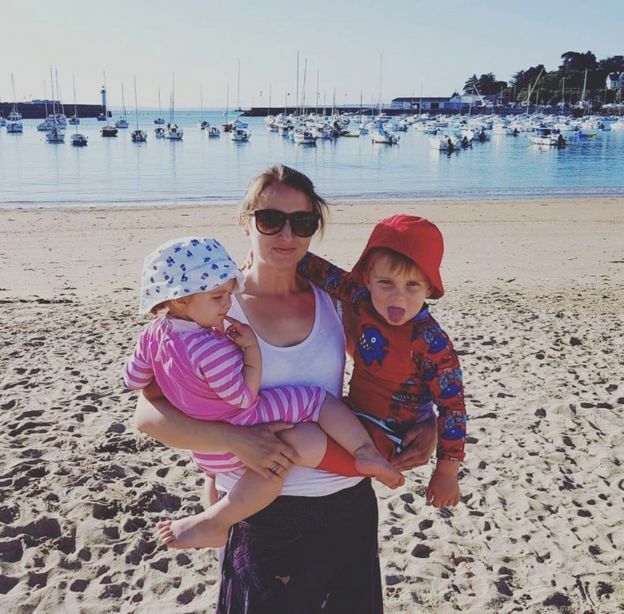 She says her reaction to having two small children was probably the same as any parent's. "It's quite kind of, 'Wow!' A lot of things to deal with, like getting my son weaned off his dummy and then starting his potty training. And obviously, having a newborn, it's a lot to cope with. But it's a lot for any parent," she says. "I've tried not to let having Parkinson's really affect any of what I was doing with the kids when they were little." Ellie says her children know that she takes medication and her son, now four, has started to ask some questions. "As he gets older and he's able to understand, and his empathy builds as he grows, I think that it will be easier for me to say, 'This is what doesn't work properly,'" she says. "But they've never once said to me, 'Mummy, why do you shake?'" The speed at which the disease develops tends to be slower in people with early onset Parkinson's, says Huw Morris. Treatments are very effective, he says, but there is nothing that can stop it in its tracks. Like Ellie, the actor Michael J Fox was diagnosed with young onset Parkinson's at the age of 29, and he's still acting occasionally in his late 50s. Ellie says her hopes for the future are mostly the same as any person with children. "I hope that my children understand all my decisions and the choice that my husband and I made to have them - and I'm pretty sure they will," she says. "I do hope that I won't be a burden on them, that they won't see it like that, because one day I'll probably need to be cared for, and that's really quite difficult to say, to be honest." Ellie says she does not spend each day wondering, 'What's my life going to be like?' but takes each day as it comes. "I think that's the best way to be, to be positive and don't worry about what the future holds, either positive or negative, because you could get run over by a bus tomorrow and it would be totally unrelated to Parkinson's. It's just not worth worrying about." Ellie says it is frustrating people tend to associate Parkinson's with just one thing - tremors - and are unaware of other symptoms. "I do have a lot of stiffness in my hand," she says. "So at times when my medicine's wearing off I just can't raise my arm for example and my hand is completely stiff. People don't realise that is one of the main symptoms - and pain as well, and cramps." Rates of anxiety and depression are also higher in people with young onset Parkinson's disease, according to Huw Morris. Ellie says the things that have helped her most with her condition are continuing to do plenty of exercise, connecting with other young people who live with Parkinson's and avoiding the temptation to compare herself to others - because each person is different. It's impossible to know whether her condition will progress faster, slower or at the same speed as someone else's. "It's not like a death sentence," says Ellie. "Hopefully I'll live a fulfilled life with this condition for many years."